Cresco, Iowa is a great little town tucked away in northeast Iowa, arguably the most beautiful and scenic area of the state. 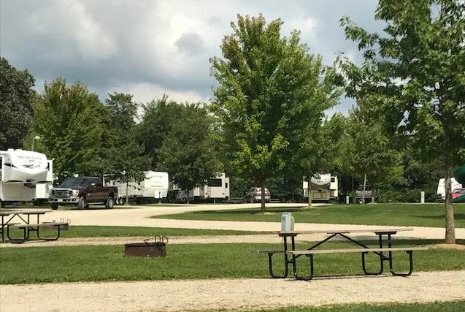 With nature on our side, Cresco is known as "Iowa's Year 'Round Playground" because of the variety of recreational activities available to our residents and visitors alike. No matter what season of the year there is something for everybody. You can also stay fit in our state of the art Fitness Center and Indoor Pool. 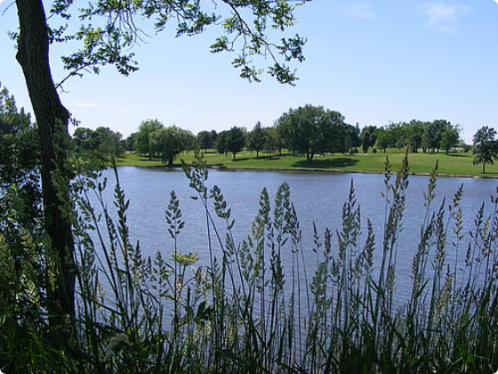 Residents and visitors can also enjoy various forms of recreation in Cresco's 4 city parks. Beadle, Kessel, Evans and East Parks offer a wide variety of features including playground equipment, softball and baseball diamonds, tennis, basketball and volleyball court, picnic shelters and lots of green space to run or sit back and relax. 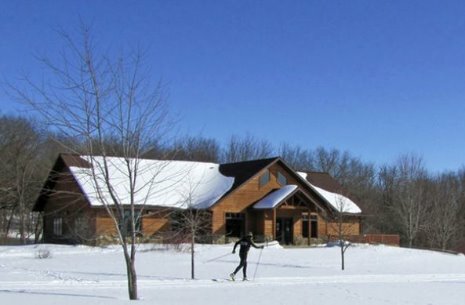 ​Over 15K of cross country ski trails and 5K of snowshoe trails can be found at the Prairie Springs Nature Center south of Cresco, Iowa. Prairie Springs XC Ski & Snowshoe Trails have been rated third in the State of Iowa and are a favorite among skiers from Iowa, Minnesota, Wisconsin, and Illinois. Ski trails feature both a skating lane and a classical track. There are both packed and ungroomed snowshoe trails in the north side park unit. The south side park unit has two packed trails for snowshoeing or for walking. We do not encourage walking on ski trails at any time. Find us at 11562 Valley Ave, (563) 547-3634, on the web at Prairie Springs XC Ski & Snowshoe Trails and on Facebook at Prairie Springs Ski & Snowshoe Trails. The Howard County Conservation Board, established in 1956, acquires and develops county parks, preserves, wildlife areas, forests and other conservation areas and encourages wise management of our natural resources. Cresco and it's surrounding area offers a wide variety of outdoor activities for the entire family. Please visit our county website at www.iowatelecom.net/~howardccb/ or the Iowa Deptartment of Natural Resources at www.iowadnr.com for more information. The Prairie Farmer Trail is a 22-mile paved trail traveling the abandoned Milwaukee Railroad line between Cresco, Ridgeway and Calmar. The trail provides a way for residents and visitors to safely enjoy the beautiful rural Iowa countryside as well as improve their health and wellness. The $1.6 million project to "Pave the Way" has been nearly completed, with just some shoulder work remaining. The trail has plenty of shade and is nice and flat so the entire family can enjoy the ride. Check with Cresco Bicycles or Cresco Fitness Center for fun rides and events planned all year. Click here for more info on trails in the area. Prairie Springs Recreational Trail begins in Cresco with the route extending 2.5 miles south, ending at the Prairie’s Edge Nature Center and the Vernon Springs mill pond area and Vernon Springs Campground. Plenty of shade and a few hills make this a great trail for young and old alike. This paved trail also connects to the recently paved Prairie Farmer Trail extending to Ridgeway and Calmar for over 20 more miles. The Cresco Fitness Center is a facility for all ages to participate in walking, swimming, exercise, basketball, volleyball and other fitness activites year 'round. This $1.8 million complex was financed by the people of Cresco for today and tomorrow. The facilities include a unique, zero-entry swimming pool that is designed in a "U" shape for safety (low water on one half, deeper water on the other half) and for better utilization of space. The indoor pool is named for the Jack and Fran Thomson family of Cresco who donated $500,000 to initiate the pool. The large complex includes a walking-running track that circles exercise equipment and a pair of basketball hoops. This complex is connected via a walkway to the 1936 gymnasium that was originally constructed for CrescoHigh School. The gym is the site of basketball and volleyball games and practices for boys and girls and adults. An accompanying stage is used by groups for birthday parties or group activites and two large adjoining rooms are used for aerobics, dance, tumbling, wrestling and other activities. A lower level is developed into a golf driving range, softball and baseball hitting cages, a classroom and work area for arts and crafts, and numerous other activities for public use. Check out everything that we offer on the City of Cresco website atwww.cityofcresco.com. The Cresco Park & Recreation offers programs and sports for all ages to take part in healthy activities and recreation. Disc-Golf 9 hole course at East Park. Go to the City of Cresco website at www.cityofcresco.com for more information on all of these activities or call the Cresco Fitness Center at 563-547-3443. Snowmobiling on the groomed trail system that connects seven communities with Cresco is one of the joys of the winter season. More than 250 miles of marked trails branch out from Cresco like spokes on a wheel. These trails, developed over a 20-year period by the Cresco Driftrunners Snowmobile Club, enable the traveler to journey down the beautiful river valleys of the Upper Iowa & Turkey rivers. Contact Eric Vobr, President of the Driftrunners, for information on trails at 563-203-0623 or visit on Facebook at "Driftrunners Snowmobile Club". Respect private property and roadway laws. Keep off lawns and sidewalks. Stay on the trails & ride safe! A 114-acre park nestled deep in the valley amid the woods along the Turkey River. Come take advantage of one of the hidden gems of Cresco. When is the last time you laced up a pair of ice skates? The indoor Ice Rink is open at East Park on 6th Ave East and 8th St. East in Cresco. Free skate rental. All ages are welcome! Racing at the Cresco Speedway has been a long standing tradition. The season goes from May-September with many special events taking place. For a detailed schedule visit the website below.